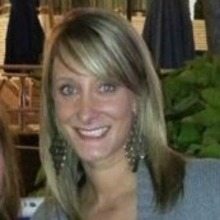 WashingtonExec is excited to announce Claire Zuskin as the organization’s events manager. Zuskin will run all of WashingtonExec’s 100+ annual events, including its STEM Symposium, and will coordinate with council chairpersons and keynote speakers. Zuskin is no stranger to event planning, having spent more than 10 years as a marketing and events manager, a role in which she planned and executed more than 300 events a year. Before joining WashingtonExec, Zuskin worked in the public policy arena, employed by the National Automobile Dealers Association, and in the world of high-tech business with Managed Objects and Deltek. Prior to starting her career in event management, Zuskin received a Bachelor of Arts Degree from George Mason University in Fairfax, Virginia. Although a native of Coppell, Texas, Claire is a proud Washingtonian. She also enjoys spending time with her family, traveling and is avid follower of politics.